Open SSL Heartbleed bug - Patch Download - How to test whether a server's security is compromised. 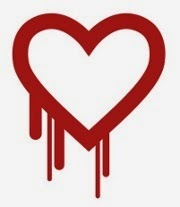 What is Open SSL Heartbleed bug? Open SSL is a widely used Open source encryption library that uses Secure Sockets Layer (SSL v2/v3) and Transport Layer Security (TLS v1) protocols and various cryptography libraries to provide a robust and secure server environment. OpenSSL enables SSL and TLS encryption, which governs HTTPS the secure communications between your computer and the servers on the Internet. It is used by about 2/3 of the web servers in the world. This tiny flaw in the most widely used encryption library allows any attackers to secretly access any vulnerable systems, from your bank's HTTPS server to your private VPN, to steal passwords, login cookies, private crypto-keys and many more. The Heartbleed bug which is a severe memory handling error allows anyone on the Internet to read the memory of the systems protected by the vulnerable versions of the OpenSSL software. The bug lies in OpenSSL's implementation of the TLS heartbeat extension. Only 1.0.1 and 1.0.2-beta releases of OpenSSL are affected including 1.0.1f and 1.0.2-beta1. Affected users should upgrade to OpenSSL 1.0.1g. The process for patching this vulnerability includes updating OpenSSL, and restarting all services that are reliant on the OpenSSL libraries. 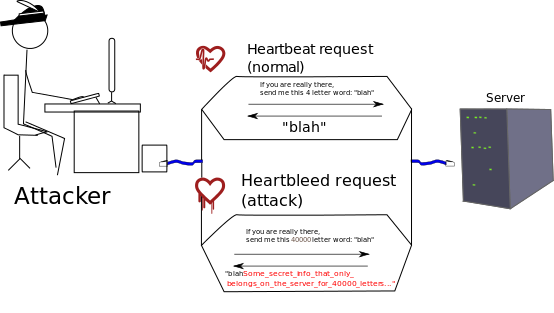 How Heartbleed bug exploited by hacker? Bug may impact versions of OpenSSL 1.0.1 on Linux Operating Systems to include: Debian, RHEL, Fedora, Ubuntu, and CentOS. Vulnerable servers must be patched with an updated version of openssl and any services using openssl libraries must be restarted. A fixed version of OpenSSL was released on April 7, 2014, at the same time as Heartbleed was publicly disclosed. The patch was added by Adam Langley and Bodo Moeller. Popular webservices has updated servers with Heartbleed patch. As a matter of security it is recommended that you change Passwords of your Email or any other online services that you are using.